As conservatories are predominantly made of glass, they can be really difficult to keep warm. The warm indoor air can escape quickly, and the many windows can let in chilly draughts. With winter well and truly upon us, homeowners will be exploring their options to heat the conservatory. After investing in a conservatory for your home, you should be able to enjoy it 365 days a year. Here at Prior we say conservatories are for life, not just for summer! Read on to find out more our advice when it comes to heating your conservatory. There are quite a few options when it comes to conservatory heating, and the best option for you will depend on how you use the space and the heating system used for the rest of the house. There are two types of underfloor heating you can use in the conservatory – electric and central heating, which uses piped hot water. This is a good option for conservatories where there isn’t much wall space for a radiator, and if you don’t have carpet as this can stop the heat rising. However, there are many factors to consider. Underfloor heating takes a long time to warm up, so if you like to spontaneously spend time or entertain in your conservatory, this might not be the best option for you. Also, the cost of electric heating is more expensive than gas so, some homeowners would see electric underfloor heating as an unviable option. Piped underfloor heating can only be implemented at the build stage, as it depends on the construction of the conservatory, so again this isn’t an option for people who have already built their conservatory. Radiators, whether electric or connected to the central heating, offer a high performance and good heat output, making them a good choice for conservatories. However, lots of conservatory designs don’t have enough wall space for traditional radiators. Manufacturers have recognised the need for conservatory-friendly radiators, which is now many shapes and sizes are now available, especially in electric radiators. There are tall and skinny options as well as floor mounted choices. 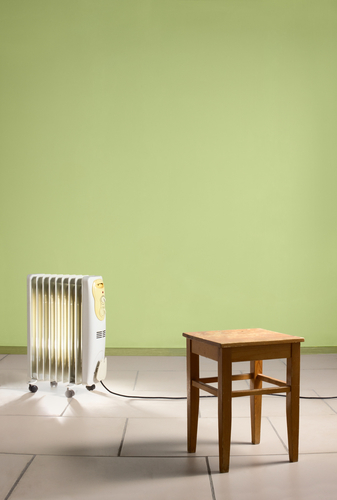 If you don’t want to extend the central heating system in the house or don’t have one, an electric radiator can be easily fitted. Bear in mind that installing a piped system will be more expensive but have lower running costs over time, as the cost of electricity is high. The lowest maintenance alternative is a plug-in electric heater, which can generate heat in the conservatory. These again are quite expensive to run, but only need to be switched on for a short amount of time to warm up the entire room. Get in touch if you have any other questions you’d like to ask the experts about conservatory heating.